﻿ at NaTa Chiangmai Chic Jungle, Chiang Mai | FROM $54 - SAVE ON AGODA! "Needed a hotel near friends." Have a question for at NaTa Chiangmai Chic Jungle? 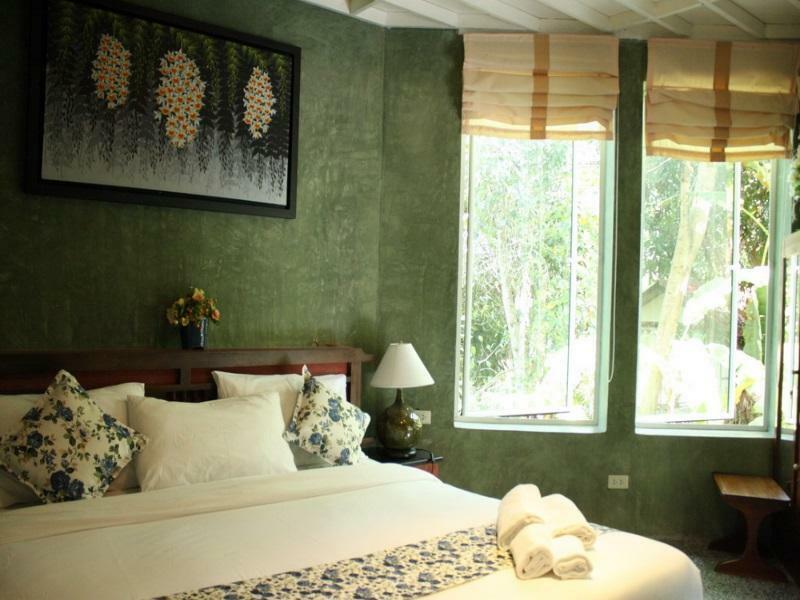 "The price was very affordable"
"Food is good and it was a clean and comfortable stay." See all the sights that Chiang Mai boasts with your home base at the At NaTa Chiangmai Chic Jungle. The rooms at this property have river, pool, and garden views for guests to enjoy, so you are bound to be peering out at appealing scenery. 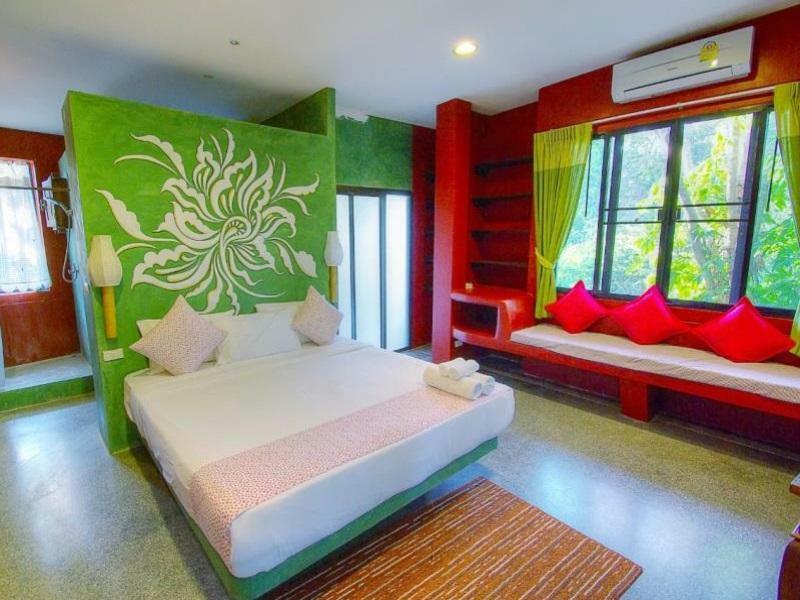 The property is close to Mae-Sa Golf Course, Tita Gallery, Bai Orchid and Butterfly Farm, Huay Tung Tao Lake, and Chiang Mai Green Valley Golf Course. Karaoke bars can be found in the area, where you can show off your singing skills and hang out with your travel buddies. There are massage facilities here, so if you want to spend the day simply relaxing and unwinding, you can easily do so. Offering guided tours, the At NaTa Chiangmai Chic Jungle is a great spot to stay to learn about the area and see everything you can while you're here. The property has a fitness center, an outdoor swimming pool, a garden, and ticket services among other great facilities. It has a bar, a coffee shop, room service, BBQ facilities, and restaurants on the property, so there is a selection of dining and snacking choices. It offers family rooms for those who want to have the whole family together. The At NaTa Chiangmai Chic Jungle has a playground, which will keep your little ones happy and active all day long. It also offers a kids swimming pool to keep the children entertained during your stay. The property has several convenient features, such as an infirmary and safety deposit boxes. From a concierge to luggage storage, the At NaTa Chiangmai Chic Jungle has a range of useful services for you to utilize. There's free Wi-Fi available in all rooms, as well as Wi-Fi in common areas, so you can save money by not splurging on international charges. 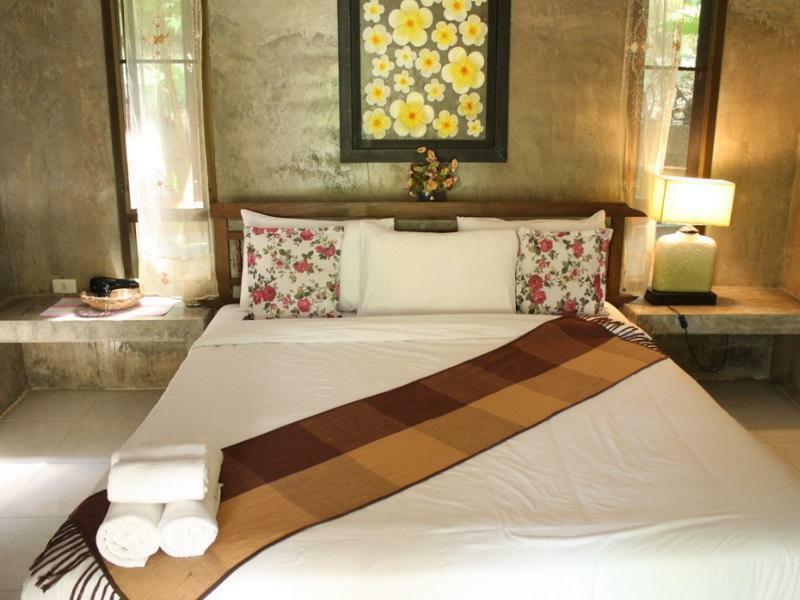 The At NaTa Chiangmai Chic Jungle is pet-friendly, so you can keep your dog by your side throughout your vacation. Providing around-the-clock front desk services, this property ensures that there is always a member of staff on call to answer any questions that you have whenever you need. The At NaTa Chiangmai Chic Jungle gives you access to numerous transport options, such as airport transfers, shuttle services, bicycle rentals, and car rentals. Chiang Mai Railway Station is 17.9 km away. The nearest airports are Chiang Mai International Airport (CNX) and Pai Airport (PYY), which are situated 16.3 km and 71.3 km away. 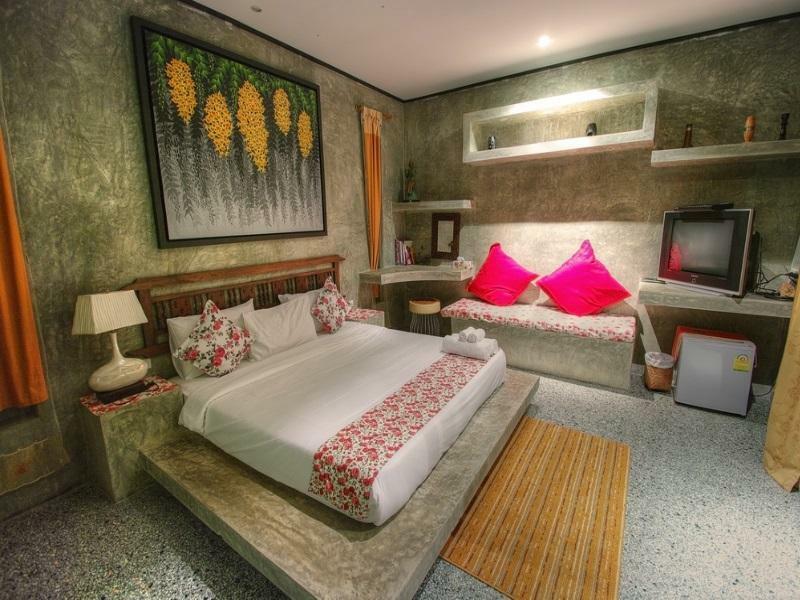 The At NaTa Chiangmai Chic Jungle offers check-in from 12:00 AM and check-out until 12:00 AM. "The swimming pool is great, the creek is kids friendly." It's such a beautiful place. We came here with 3 other families with young children. We all had a great time. The swimming pool is great, the creek is kids friendly. Our kids had a blast playing by the creek. One recommendation... They should have provided towels at the swimming pool. The only thing that we didn't like... the 'Sweet' room, we don't understand, why on earth the glass doors aren't properly measured up. There are gaps on the floor which, mosquitos and creepy crawlies can easily get in. But we solved this problem by using some towels to close those gaps on the floor. Apart from that, it's still a great place to get away with a reasonable price. Can't say enough about this place! Great facility, great staff, beautiful surroundings, great pool, and cold beer! I also recommend going to See Paak, which is a local restaurant that is very close. The best bbq ribs I have had in a long time! good place for relax. some room with river view. it's ok to stay here. good place for the group travelling. Good breakfast recommend pan fried egg, staff very helpful but when i was there it was a problem with hot water in the bath room and my towel also got a little dirt on it but it's fine because i just stay there one night. By the way behind the hotel you will got a great view because it located on the way which the waterfall pass. We really enjoyed this place a lot. It's very nice and relaxing. Cute place, but some inconsistencies with the staff and service. Although we were one of the only couples there, they put us in one of the rooms facing the lobby across the pool, next to the room where most of the staff seemed to be staying (another hotel room). A bit odd. The breakfast was terrible, which was too bad, as the dining room overlooked a beautiful stretch of river. Although the staff were friendly, they also would play incredibly loud music in the lobby until late at night, and then quite early in the morning, which we could hear in our room. Seems they just lacked knowledge about service standards. 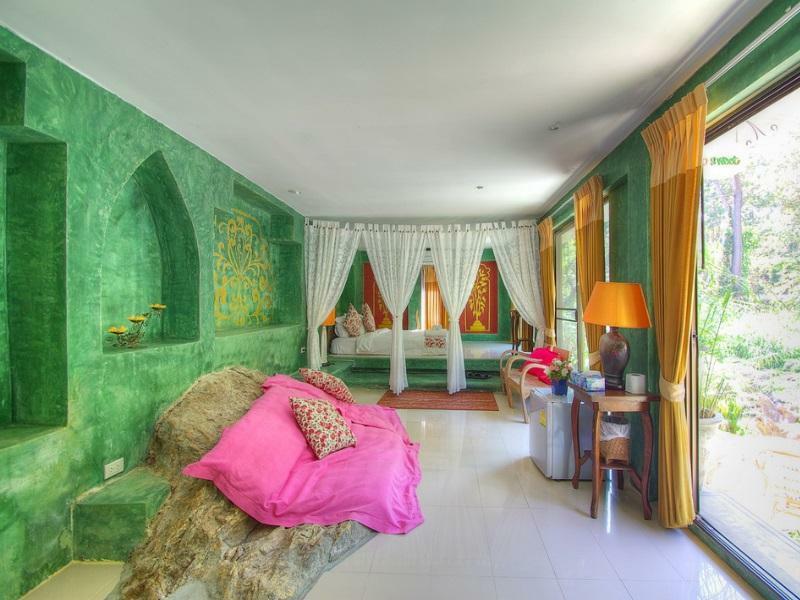 However, room was clean and comfortable, and price was much better than the overpriced shabby-chic eco-resorts down the road. If you just want a good base camp for exploring, this place will do just fine and won't take such a bite out of your budget. Our kids LOVE swimming in the small creek by the resort. There are swing and nest bed nearby. Staff are very friendly and helpful. Breakfast is not various but good taste (maybe there wasn't many guest during my stay).The location is good if you have a car also there are many attractions nearby. It would be nice if they can provide baby cot and high-chair for small children. Relax with waterfall and white noise. Villa suit for family, spacious room. Attentive and friendly staffs. Good taste restaurant. I come here for several times to stay or have lunch. I think this place is quiet not crowded. We had a short 1-night stay. Nevertheless, we really enjoyed the element of nature at this place. Food is good and it was a clean and comfortable stay. Just take note that the steps to go up to the second room is quite steep. Overall it was great. Firstly its in a jungle and secluded area. Thats fine. But the rooms are all stone and so by 5.30 pm its dark and pretty cold. The staff is super nice and friendly. But by 10 pm they pack and leave. What if there is an emergency in the night, bear in mind its very far away from city, in a jungle and quite secluded. I like it for staff and near to nature. What i dint like is, the rooms become stone cold and no security in the night. I booked a superior room for one night. 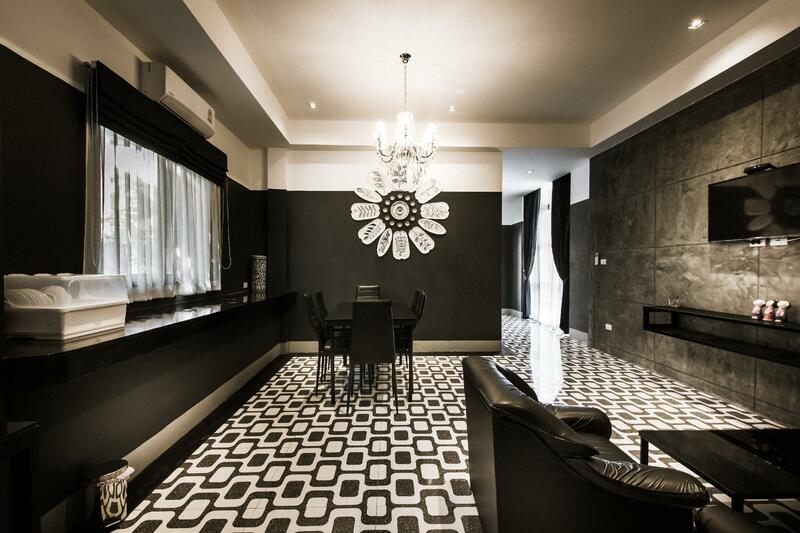 As you can see, the hotel gives a lot of information about the room, for example, what will be provided. However, when I got in, there was only a TV. The closet doors were broken. It couldn't be slided. I had to lift them up. The room had a lot of brown stain. The corner of the room was dusty. No hair dryer, coffee, tea, snack or even minibar are provided in the room as informed. The place was completely peaceful but still I think it is a bit overprice comparing to what I got. You definitely could pay less with a better service. It is close to the Botanical Garden but you still need a scooter or taxi to get there. Taxis are hard to get this far out of town so plan ahead and get the phone number of the taxi that dropped you off. While the overall English level was a bit lower than what we've come to expect in Chiang Mai, the staff made up for it with friendliness, flexibility, and a desire to problem solve. Our room was open air, so be prepared for that when packing your pajamas... as it can get pretty chilly at night. This hotel will be good for people looking for quiet ambiance.Not really suitable for children as there is only 1 small pool available.The room is rather small.Take note that the hotel cafe and reception closes at 8 pm.There is no mall nor street hawkers outside the Hotel.